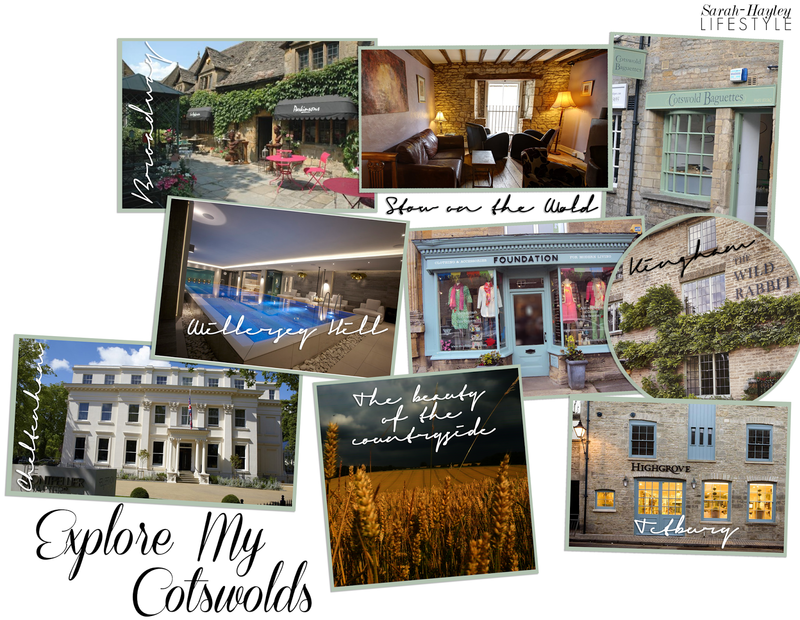 As many regular readers will know, I am a very proud Cotswoldian. My family have lived in these rolling hills for over 100 years and I am eternally grateful, as in my eyes it is the most beautiful place on earth. The last of my Country Style posts, this week, is dedicated to the shops and businesses where I spend quite a few hours. I am not exaggerating when I say the coffee at New England is the best coffee in the Cotswolds. With beans freshly roasted on the premises my favourite drink is the velvety smooth Cappuccino. The Grade Two listed building was built around 1660-1670. Surrounded by beams, creamy Cotswold stone and original details, sit and relax or catch up with friends, within the four comfortable lounges on four floors. When I was studying for my degree at London College of Fashion, I worked weekends in Foundation. Established in 2002 by designers Gemma and James Wiseman, the shop boasts exciting and inspirational brands from the UK and around the world. I owe Foundation for developing my love of the brand By Malene Birger and introducing me to the fresh designs of Libelua. With various price points and styles there is something for everyone at Foundation and an array of gifts which make the perfect presents. Cotswold Baguettes offer excellent lunchtime takeaway treats, including freshly baked baguettes with a wide selection of fillings, hot jacket potatoes baked in a King Edward Potato oven and various salads. If you are visiting for the day, work or live locally the excellent service and quality you find will inspire you to visit again. The Highgrove Shop occupies a period building thought previously to have been a brewery. Many of the period features have been retained. I love the products found in the shop which sells exclusive gifts for the home and garden that often reflect the personal interests of HRH The Prince of Wales. The products are inspired by the beautiful gardens at Highgrove are sourced responsibly with regard to environmental issues. The Wild Rabbit is a new addition to the Daylesford empire located nearby in Kingham. The 1750's inn has been renovated to an outstanding standard, combining traditional country decor with a modern vibe. The food is first class, of course organic and made by Carole Bamford's former chef Adam Caisley. The twelve guest bedrooms are named after woodland animals and the interior is in-keeping with the achingly tasteful decor. From monogrammed cotton linen to airy neutrals and creamy exposed Cotswolds stone walls. With topiaried rabbits, three log fires and copious amounts of rustic and artisan charm, The Wild Rabbit is the latest place to unwind in a seriously chic setting. Sue Parkinson was established in 1973. Still family run for over 40 years, the lifestyle store continues to be an inspirational source with a great mix of clothing and home wares. I have watched the business expand over the years to include three shops in Broadway dedicated to the different products they offer. For interiors there is a large showroom store located in the Broadway Design Centre, a sale shop close-by and within the original shop, opposite the road, you find designer clothing from brands such as Sonia Rykiel, Philosophy di Alberta Ferretti and Marc Cain amongst others, including accessories from Anya Hindmarch and Mulberry. Situated high above the village of Broadway is Dormy House, a recently renovated 17th century farmhouse and a further example of sumptuous contemporary design juxtaposed with country details which form an elegant rural retreat. The House Spa is incredible. With a selection of spa days on offer and indulgent treatments by Temple Spa the House Spa is a little bit of heaven located in beautiful setting. Located in the heart of Cheltenham's renowned Montpellier lies this sophisticated hotel. Montpellier Chapter is a great place to stay, dine in the restaurant or take tea in the conservatory. You will find me in the Lounge with a pot of tea writing and researching for a feature. With light and airy interiors and open fireplaces the rooms are perfect examples of Cheltenham's grand regency style. One of my favourite roads at home lies between Cutsdean and Snowshill. Predominantly untouched countryside the open views of rolling hills, farmers fields and Cotswold sheep make for the most picturesque of images. You can even stop by Cotswold Lavender for a fragrant feeling and refresh yourself in their summer tearooms.